Samsung Galaxy S III in Sapphire Black is Canada bound? It used to be much easier when it came to selecting a new handset. You visited your carrier's closest retail location, found the model you wanted, and bought it. Now, you have to add in a color choice as well. In the old days, if you wanted to change the color of your phone, you bought a different colored case, or some models had interchangeable backs that you could use to add a new color to your phone. These days, the manufacturers are producing the same models in different colors. No longer do you need to buy an accessory to brighten, or darken your smartphone. You can buy it the way you want it to look right out of the box. 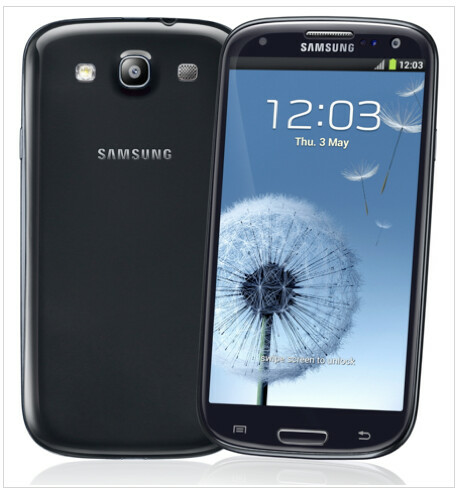 And when you have an extremely popular model like the flagship Samsung Galaxy S III, more color choices mean more sales. Speaking of the Samsung Galaxy S III (and who isn't, really? ), some new color choices have been made available such as Amber Brown, Garnet Red, Sapphire Black and Titanium Grey. Depending on where you live and the carrier you use, you could have your choice of these colors along with the original Marble White and Pebble Blue. In Canada, for example, a tipster for Mobile Syrup says that the Sapphire Black version of the Samsung Galaxy S III is coming to TELUS sometime in the late February, early March time period. Yeah, we're sure that Henry Ford would have waited for this color choice, how about you? TROLL, do u really need to end each one of ur sentences with those R&C thingies? he is a troll. what do you expect? The guy is plain pathetic...nuff said :) By the way I really wish they'd release the Note 2 in black....its about time already....nothin says awesome on a phone like black! Im returning my iphone 5 today for a gs: at best buy...kinda sad all they have is blue and white..i want red! In which universe are sapphires black? hehe, running off my mouth like a tard, the i9305 in Australia was "Titanium Grey" not black.